Miss. Delicious #88 : Sea Trekking at Nemo, Land of Legends! The Land of Legends has thus far proven to be a location that awakens the child in each of us. The cartoon theme, the gaily coloured hotel and fairly-tale like castles, all remind us that we are never too old to enjoy a bit of fantasy and childhood excitement. In this edition of Miss. 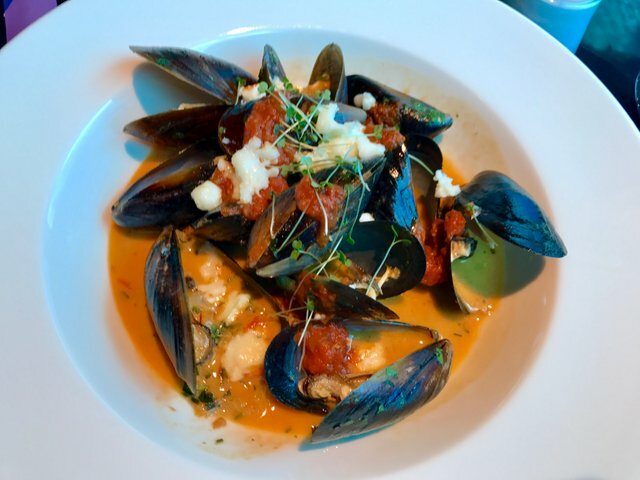 Delicious, we'll be veering away from exploring the usual culinary offerings and instead, embarking on an activity curiously linked to our venue of choice. Labelled simply Restaurant and Lounge, Nemo serves Japanese style dishes in an exquisite yet unconventional setting. To call it a dining room would be misleading, Nemo is more akin to an aquarium. 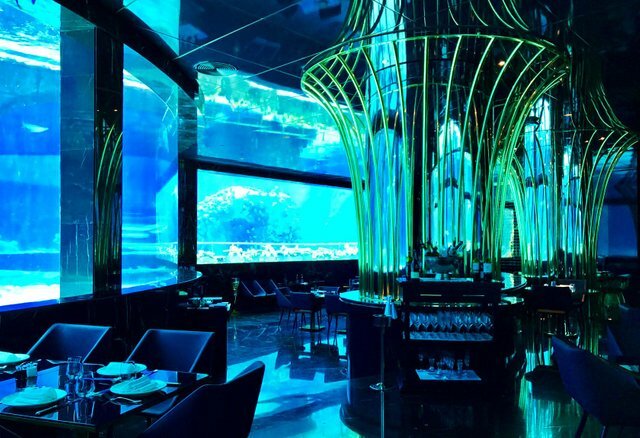 Can you imagine eating whilst hundreds of fish and even sharks swim by? That's what makes Nemo special, but to make it even better, you can even go swim with those fishes in the Sea Trekking experience. 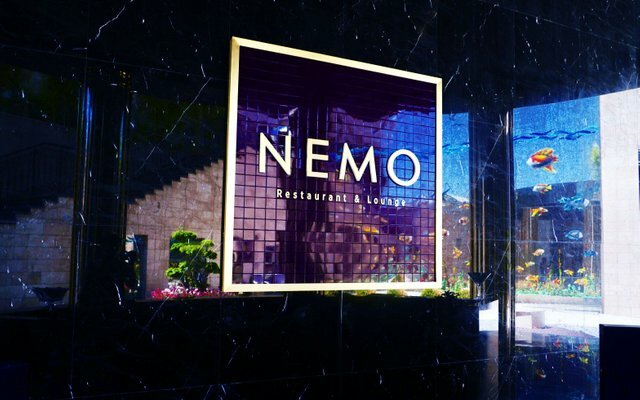 Nemo is one of the most popular restaurants if not the most popular at The Land of Legends, and that is not surprising given it's spectacular views of the various aqua tanks. Booking a seat is absolutely necessary but not only that, you'll want to book the sea trekking to coincide with your visit. Whenever anyone mentions Nemo, the first thing that comes to mind for most people under the age of 30 is probably the adorable clownfish from Finding Nemo. But predating that highly successful movie, Nemo actually references Captain Nemo from the novel, 20,000 Leagues Under the Sea. Since there are no clownfish to be seen, this homage to the underwater world makes a lot more sense! 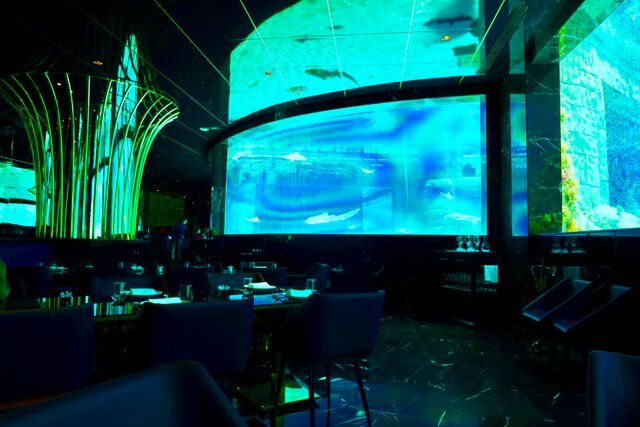 Once inside, even with it's stylish interior design, the only thing worth looking at inside the restaurant is the huge under-water world on the other side of the large see through glass walls. There are two different aquariums, one housing the sharks, and the other, hundreds of smaller colourful tropical fish. The tank with the sharks remind me a lot of Atlantis with it's ancient city ruins. Adjacent to the shark tank, there is the coral reef tank with thousands of brightly coloured tropical fish. This tank is buzzing with activity and life. This is also where you feed the fishes yourself and go for a walk on the sea bed in the sea trekking experience! 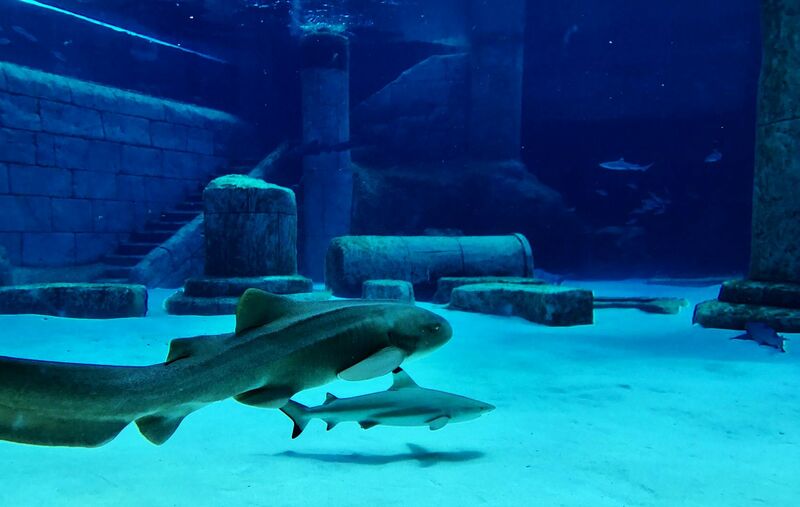 Even the most daring of people are not allowed to go sea trekking in the shark tank and so, the restaurant becomes the only place you can look at the beautiful sharks up close but in safe proximity. How many different kinds of sharks can you recognise? This is the meeting area for the Sea Trekking experience, it is a private area for those who have paid and booked the experience so there aren't that many people around. 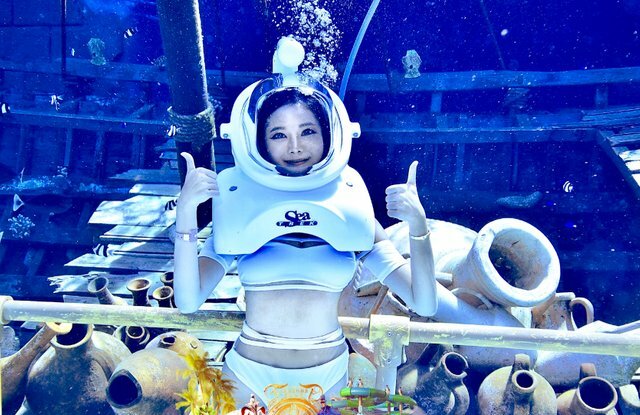 As you can see from the photos, Sea Trekking involves wearing a special helmet that allows you to walk and breath underwater. Before you can go ahead with the sea trekking, an instructor will go through all the safety procedures as well as make sure you have no pre-existing conditions which hinder you from taking part. 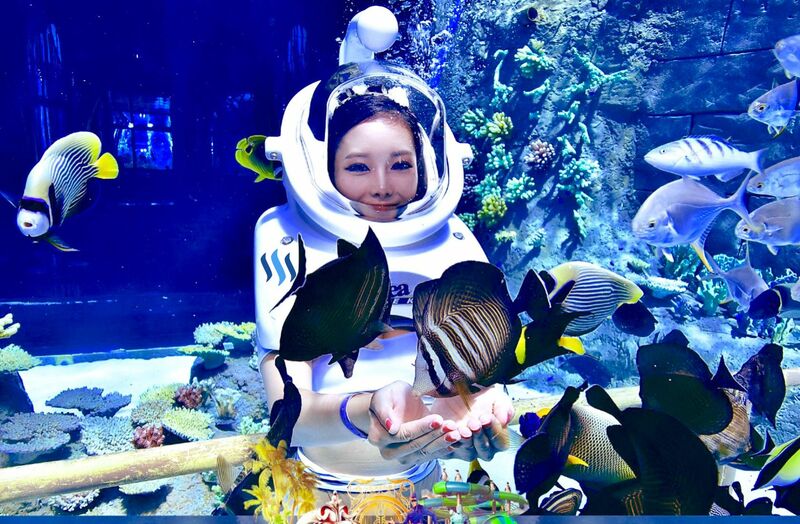 The idea of Sea Trekking is to walk along the sea bed whilst wearing a helmet connected via a tube to a pressure pump allowing you to breath naturally. The helmet also functions as a weight to keep you from floating up. The deepest part of the tank is 5 meters so for some people, the pressure is already enough to be extremely uncomfortable. One girl in my group had to forfeit because the pressure made her feel too much pain. To deal with the pressure change as you go deep into the water, the instructor advised us to hold our breath or pinch our noses. The helmet has to be held steady and level when walking down the steps into the tank. This is because water can easily leak inside the air bubble. To prevent this, we were asked to pull down on our helmets as we walked down. Once we reach the bottom of the steps, there is a path with some handle bars to help us walk along the bottom. Even with the helmet weighing us down, it's actually quite easy to float back up. I imagine this is the feeling of weightlessness also felt by astronauts walking in space or on the moon. At first, the fish were very shy, hiding between the coral reefs in the center. After a while, they warmed up to us and even came to eat the food we offered them. I was quite scared because all the fishes would circle around me and would even bite on my hands. Obviously they were harmless and soon my fears became excitement as more of the friendly fishes encircled me! The instructor who came down with us also brought along a cameraman who had a huge underwater camera to take pictures for us. After about 30 minutes, it was time to go back up. Just one last picture with the sunken ship and it's time to go back to the restaurant for food! It doesn't seem like a lot of effort, but walking around under water is very tiring! The resistance from the water makes walking around for 30 minutes feel like a real workout. I was so hungry afterwards and was ready to eat a large meal! 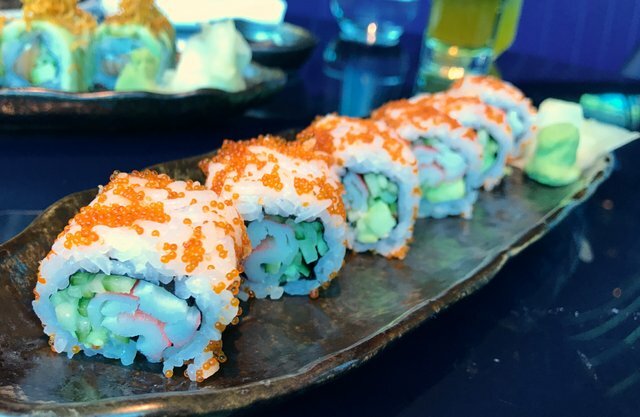 The restaurant specialises in Japanese food but also offers well known dishes from around the world. Let's take a look! 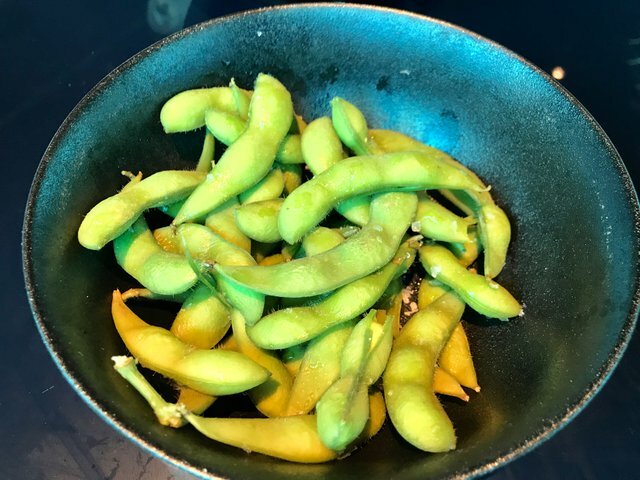 First up, the Edamame beans. 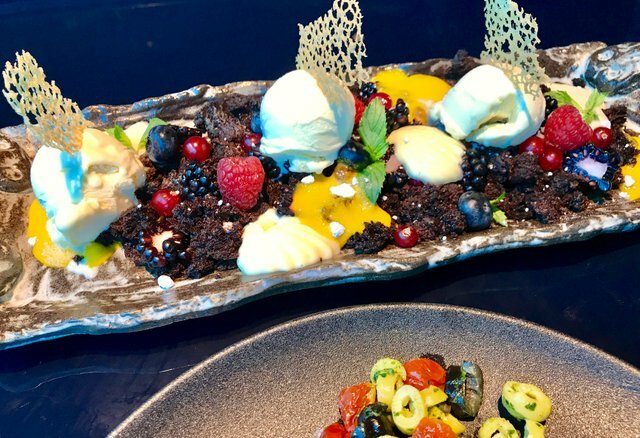 This dessert is huge and has a bit of everything! It consists of Mango Cremeux, chocolate ganache, cherry sauce and vanilla ice cream! Check out the video of the experience! And that wraps up our visit to Nemo at the Land of Legends. 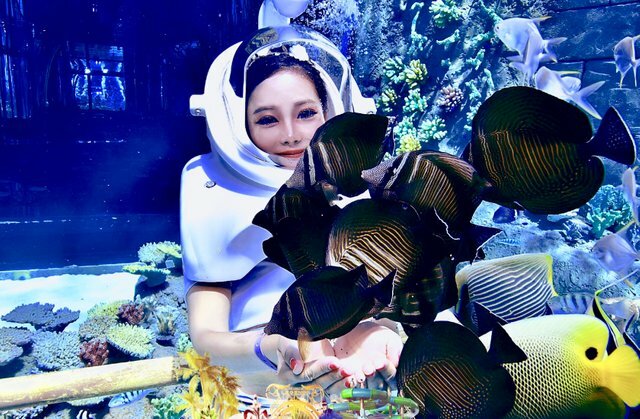 The most exciting part of the experience was of course the Sea Trekking and getting up close and personal to hundreds of tropical fish waiting to be fed. Onlookers from the restaurant not only get a close view of the beautiful coral reefs and tropical fish, they also get to see the sea trekking explorers interact with the fishes. It was strange to walk in the tank and become part of the display, but the experience was still unforgettable! 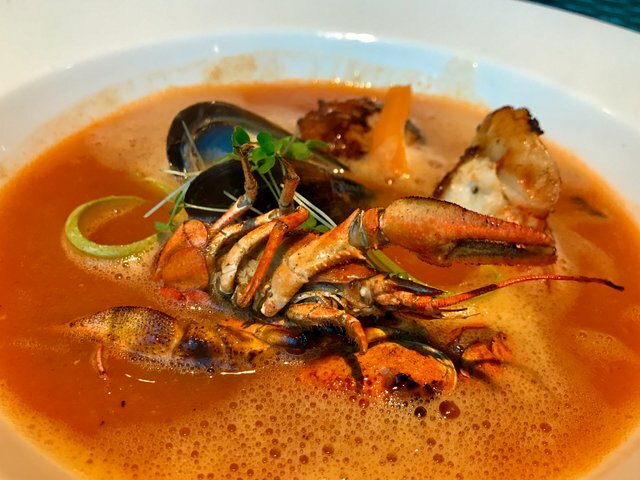 Don't forget to vote the post if you liked it, follow for more food and travel adventures and leave a comment to let me know what you think! It's great that you take the time to answer to your commenters :) The appreciation always helps the community a lot. Yeaa, everything looks so tasty!! The sushi was my favorite pic by far, even though all of them were gorgeous. Amazing photographer for sure, and editor. Thanks Sharon! The sushi was sublime I almost thought they were using fish straight out the tank! Those are such wonderful pictures. Playing with the fishies! Wow! What an experience. It is fun living vicariously through your travelling adventures. Much love. Wow! I was right thinking that you're going to try everything! Congratulations! You must've had a blast! 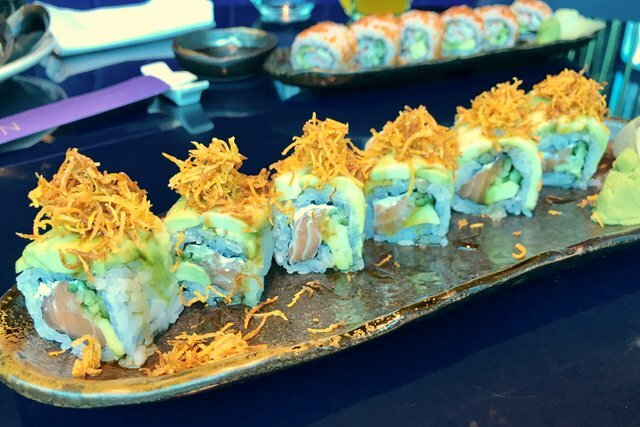 It's a one-of-a-kind experience. Hey @jsteem , great to have you here! I followed you and I hope you will follow me too :) Let's grow TOGETHER! Wow, I am really jealous after reading your post.I also want to travel and have fun like you. Anyway, you always inspire me, to work hard, put right time and effort for good content. hi suf1an, thank you so much for the encouragement, I hope you find some inspiration from the post to start your own, that would make me very happy! Hey sweetsssj, thank you sooo much. Yes, I will start and I hope I'll be receiving congratulations from you at that time. :) I'm sure many people will be inspired by your beautiful posts and pictures and will start their own adventures! You're creating a good inertia in people. You will if you want! Just take some time out from the things that make you unhappy and jump to adventure. It may produce less results than staying productive all the time, but it's surely a good thing to please ourselves every once in a while, even if it's sacrificing a bit of our resources. What use is money if you don't use it to feel satisfaction? very pretty and beautiful indeed! Wow, what a restaurant! Thank you for letting us live vicariously through your experiences. Such a unique place! She's very kind. She takes a portion of her day to reply to almost everyone. Yeees, please don't stop. We love your pictures! Hey @lingfei , great to have you here! I followed you and I hope you will follow me too :) Let's grow TOGETHER! Nice posts, @wild-forest! I'll surely be checking you out, since they look just like what I need. What another sweet post from sweetsssj! I am always so impressed with the quality content you provide. Swimming with the sharks is such an exhilarating event! Thank you for putting in the time! Hey @isabelpena , great to have you here! I followed you and I hope you will follow me too :) Let's grow TOGETHER! Are you not ashamed of such blatant spam? @wild-forest you must consider what are you doing because this is named SPAM. Be careful. I'm sure he knows hahaha, he just doesn't care. He has to be flagged down into the fiery pits of low rep. Very good @cryptosharon Thank you. I like you :) Thank you so much for making this bot. Even though it hasn't benefitted me directly, it helps the community a lot and adds a lot of good feelings everywhere. You're making a great contribution to this brave new social place. Hey @budimulia , great to have you here! I followed you and I hope you will follow me too :) Let's grow TOGETHER! That sounds like a great adventure you're planning. I hope you get a lot of results from that. It's always great to have new experiences and see the wide world in its beauty. And especially the little villages! We have a common interest there. When I travel, the places I like the most are the worldliest, the rural areas, the places where people walk every day in their routine and show their true selves at every chance they get. Love the saltwater life. 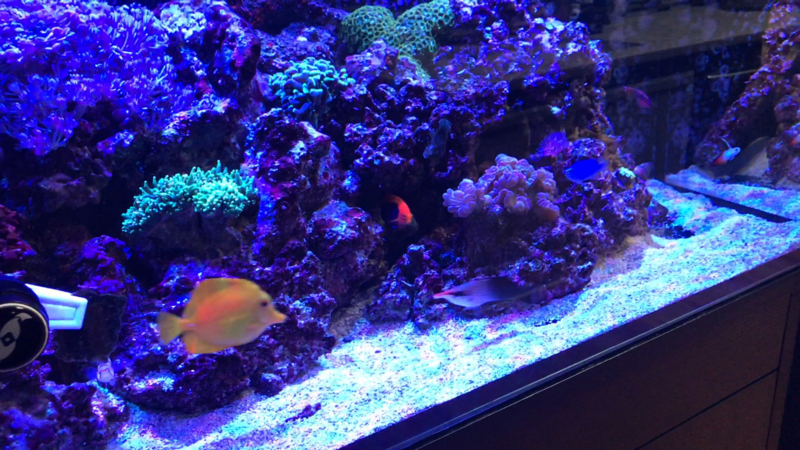 I have 3 saltwater reef tanks at home. The fish are beautiful and so relaxing to be around! Great post! I need to think about getting one for my home some day, I am really starting to love fish! Hahahahaha, that's the spirit. On the grill and in the aquarium and in the sea. They're all beautiful. Hey @setuakter , great to have you here! I followed you and I hope you will follow me too :) Let's grow TOGETHER! very nice follow you and vote thanks. Hey @apkdl , great to have you here! I followed you and I hope you will follow me too :) Let's grow TOGETHER! Like a playground for adults lol... food and fun activities, what more can one want. Right? The whole post I had my mouth open in awe at how unreal it all felt. Even more than movies. There is a sharp contrast between what one would think to be a person with normal tastes and the whole luxury of this trip and the adventures she took. In movies at least you know you're going to expect some unreal stuff, but this is just... wow. Awe-inspiring. 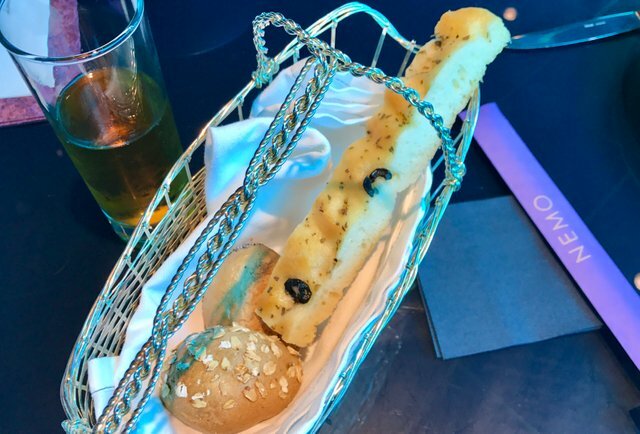 Looks like a beautiful place and the food looks amazing! Yup-yup. Life and death. One is beautiful and the other one is beautiful and tasty. Hey @teenovision , great to have you here! I followed you and I hope you will follow me too :) Let's grow TOGETHER! 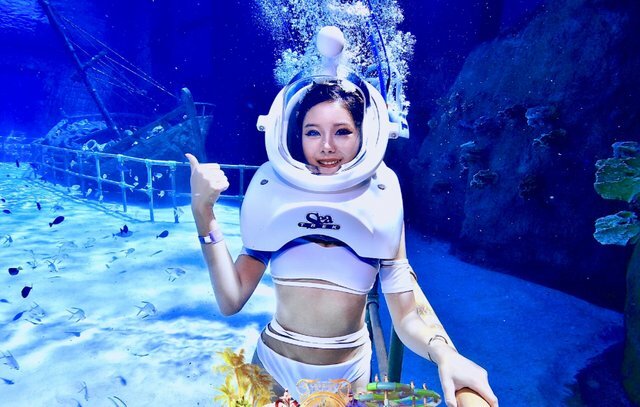 @sweetsssj - Wow - An underwater restaurant!! The Land of Legends never ceases to amaze us! From your last post, I was already in love with the place and had put it on the list of places to visit. However, now I am just dying to visit it. Do you remember that James Bond movie where there was an underwater dome office with all the sharks swimming all around outside? 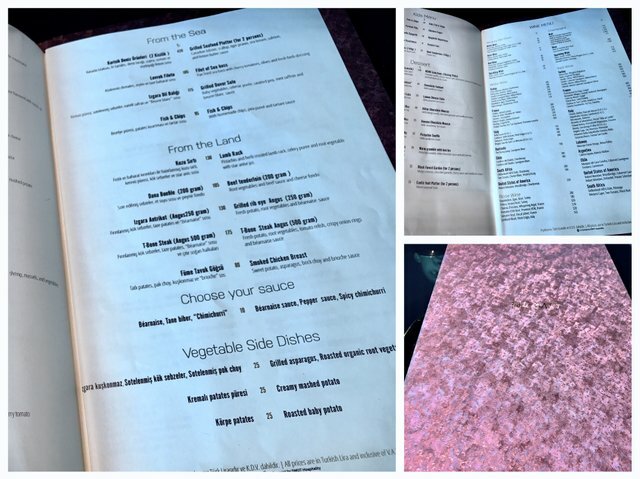 This restaurant must give that kind of feel. Must be really cool. I could experience some of it through the excellent gifs you have posted. The actual experience of swimming with sharks may creep me out. You are very brave to try it! The underwater pictures of you are stunning. You look amazing and very fresh as usual. 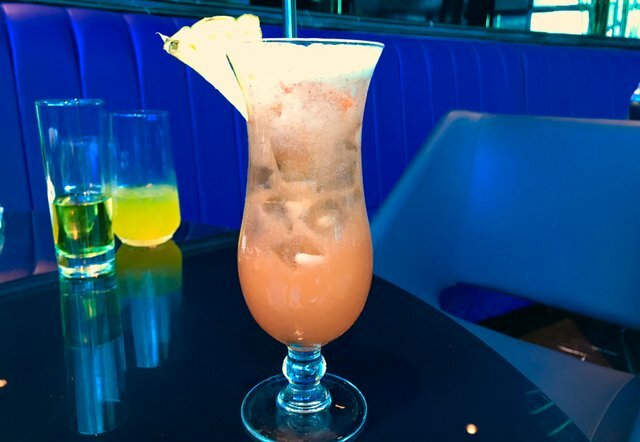 Thanks for sharing this amazing place with us through your blog. Upvoted full. vm2904! Thank you for your comment again. It's really such a great place which i'm sure you and your family will treasure the experience for many years to come. I'm sure you'll make the most of it when you visit. Hopefully my little coverage will help wet your appetite! I never saw that movie but now that you mention it i have to watch it, which one was it? I'll take a look at your post, thanks !! The movie was 'Spy who loved me' and I think that underwater dome was called 'Atlantis' and was the villain's layer. Aaaahhh, I remember that scene. It was really funny. thanks garudi, it did feel a whole lot like a scene from a movie.. but that's a very good thing, extra special! This!!!! I want to go there and swim with the fish and live with them and then fry them and eat them. Very nice. Upvoted and resteemed. Hey @draffanahmed , great to have you here! I followed you and I hope you will follow me too :) Let's grow TOGETHER! Sure thanx. Well that’s how this community will grow. Let’s support each other. I am @earnmoresteem and you got a 5.88% upvote courtesy of @malonmar! I invite you to send SBD with other post in memo and I will upvote you this new post. What an amazing experience @sweetsssj! It's so cool that you got to swim with the fish in the restaurant itself! I'm so impressed with your photography as well. Your posts always make me dream of getting away from the stresses of life and spending a few years travelling the globe. 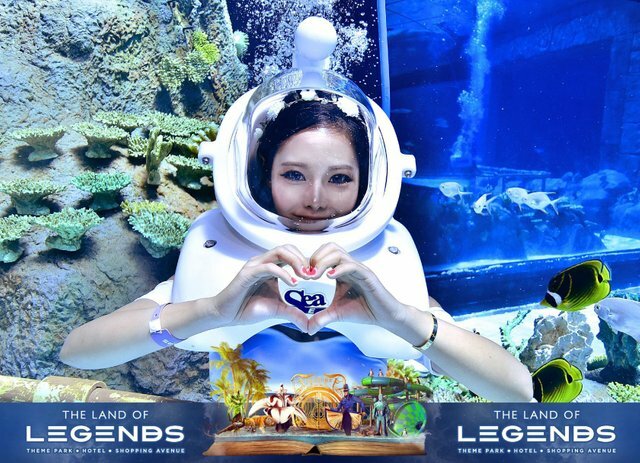 Wow what a nice adventure @sweetsssj .this is awesome the nemo land legends is the best post i ever see...what a very fun adventure you have..i love all the photos. .upvoted and resteem. .
thanks mrblu! you're a star!! How are you? I miss you so much. Four days you were not in steemit. But today i am so HAPPY yehey. You had a wonderful experienced in under the sea. Playing with sea creatures looking at the beautiful creatures of God. 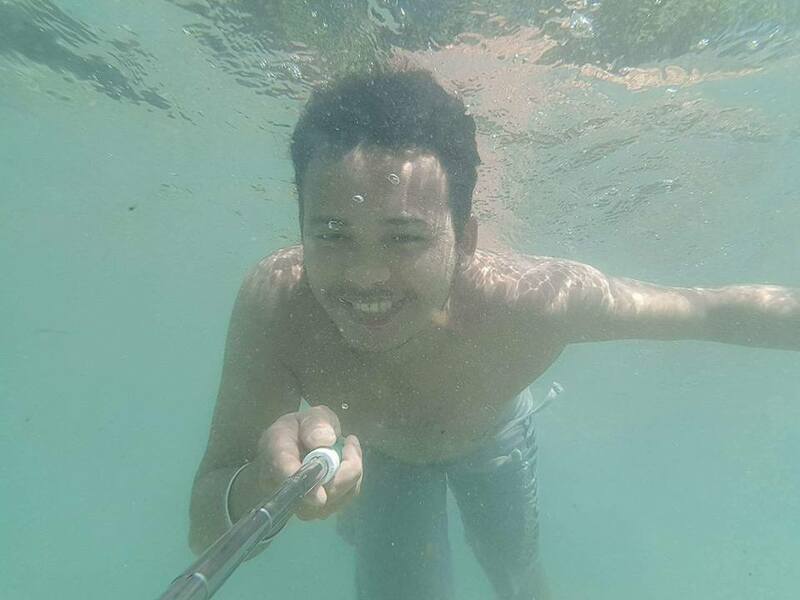 How i wish i could also experienced swimming under the sea. Who took your picture? Is he/she also doing steemit.....you are really one of inspiration, YOU LIVE LIFE THE FULLNESS. Enjoying life in every breath of our life. Are you are still single?....i am just wondering hehehe. Amazing, you always has beautiful post and trips, thanks for sharing! Where do you find these cool restaurants? They're so unique. Were the fishes biting you or giving you kisses? Hey @aneninen , great to have you here! I followed you and I hope you will follow me too :) Let's grow TOGETHER! Hi @sweetsssj..How are you? You are looking so pretty under water. Like an white angel. Foods are so delicious to look at. It makes anyone hungry. You are not only cute girl but also kind. A good supporter. akilasultana thank you my dear, you are so kind, i'm hoping you'll enjoy the posts to come as well! Dear friend, It is my good luck to meet with you on Steemit.com. Be well off always. This post has been upvoted and resteemed. I started following you to see more of your work. I have never heard of this theme park. I did a little research to see that it is in Turkey? I wanted to make sure that is accurate. I come from Orlando, FL, the capital of theme parks. This park is above and beyond better than anything I have ever experienced in The United States! Hi dear @sweetsssj. As I ever said, we (Acehnese) to see you trying the real sensation of diving and snorkeling here in our hidden paradise. Hi dear @sweetsssj. As I ever said, we (Acehnese) want to see you trying the real sensation of diving and snorkeling here in our hidden paradise. I like your traveling @sweetsssj..
thank you boyelleq, enjoy the pictures ! This don't look like a real person! Hey @duartenunes , great to have you here! I followed you and I hope you will follow me too :) Let's grow TOGETHER! I am happy to see the face of Japanese people, surely the food is very tasty, thank sweet have shared. Thank you for this post! It was interesting and the pictures added to the post are very nice. Not sure what you mean, but my answer is because the food is delicious, and the venue is spectacular! Wow, how she was able to achieve such level of success on Steemit. How much efforts does it took her..inspiring! a totally complete experience !!! since it offers gastronomy and many knowledge about the marine world that maybe we ignore many times !!! really super & mind touch post and pic like it. I like your all content because your content type and quality is so good. thank you muhammadkamal, thanks for supporting! Hey @spark92 , great to have you here! I followed you and I hope you will follow me too :) Let's grow TOGETHER! When Nemo is your favorite one. NICE ! Hey @syaukani , great to have you here! I followed you and I hope you will follow me too :) Let's grow TOGETHER! first of all you are so pretty even under water with the helmet..you are like a goddess..
the place is so magical especially for me i love fish..they make me happy and eases away my worries..they are one of my happy pills..it would be a dream come true if i'd be able to go there.. hopefully one day.. but i'm kind of very far away and it's going to be very expensive..so for now i'd just be satisfied at looking at your pictures and videos..it's like being there already..
thank you so much for sharing.. looking forward to more adventures from you..
Amazing and intriguing to my taste .. I have never seen your post that is not worth the vote. there is nothing I can say other than "Extraordinary"
I will wait for your next posting. tks. This looks like so much fun! We have something quite similar to this in Houston, Texas. 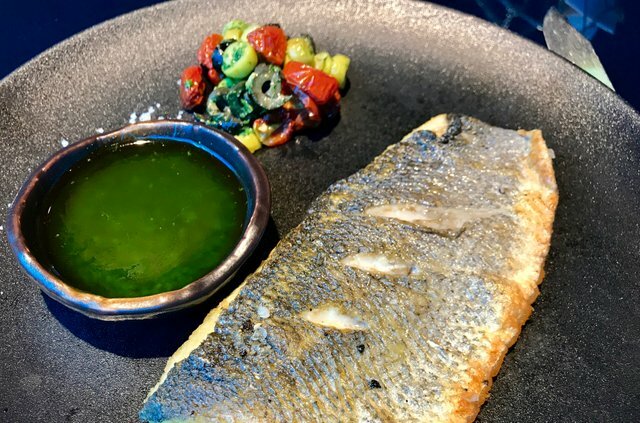 It's called the Houston Downtown Aquarium Restaurant. The restaurant offers an adventurous and immersive experience in dining. 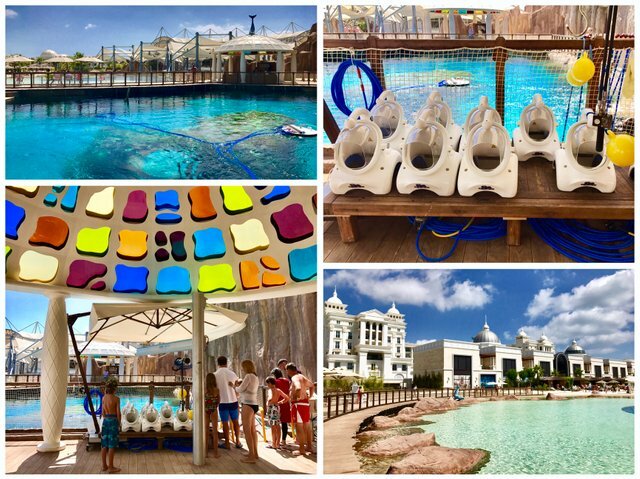 Your underwater adventure begins as you are seated around the 150,000 gallon aquarium with excellent views of reticulated rays, majestic sawfish, shovel-nosed guitarfish and other fascinating creatures as they swim right by your table. Of course, it doesn't have the sea trekking part. @sweetsssj That place looks amazing! I'd love to get in that tank with all those fish. The food looks delicious too, but a little bit funny that you can eat fish right after getting out of the aquarium! Ha ha! best like you food job.thank you so much!